The Sámi are a Northern indigenous people whose land, Sápmi, covers territory in Finland, Norway, Russia, and Sweden. For the Nordic Sámi, the last decades of the twentieth century saw their indigenous rights partially recognized, a cultural and linguistic revival, and the establishment of Sámi parliaments. The Russian Sámi, however, did not have the same opportunities and were isolated behind the closed border until the dissolution of the Soviet Union. 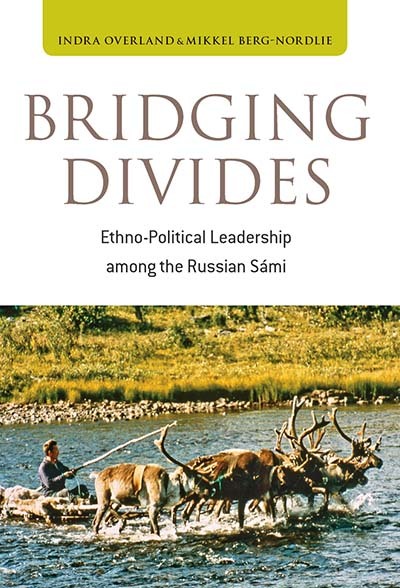 This book examines the following two decades and the Russian Sámi’s attempt to achieve a linguistic revival, to mend the Cold War scars, and to establish their own independent ethno-political organizations. Indra Overland is Head of the Department of Russian and Eurasian Studies at the Norwegian Institute of International Affairs. He received his Ph.D. from the University of Cambridge and has previously worked for the University of Tromsø, the Norwegian Refugee Council, and the Nordic Research Board. His recent publications include Caspian Energy Politics (co-edited, 2009) and Russian Renewable Energy (co-authored, 2009). Mikkel Berg-Nordlie is a Researcher at the Department of International Studies and Migration of the Norwegian Institute for Urban and Regional Research and is completing a Ph.D. at the University of Tromsø-Arctic University of Norway on Russian Sámi politics and border-transcending Sámi politics. His research is focused on indigenous and ethnic minority-related issues, including, but not limited to, Russia and the Nordic Countries. Chapter 2. Who are the Russian Sámi?